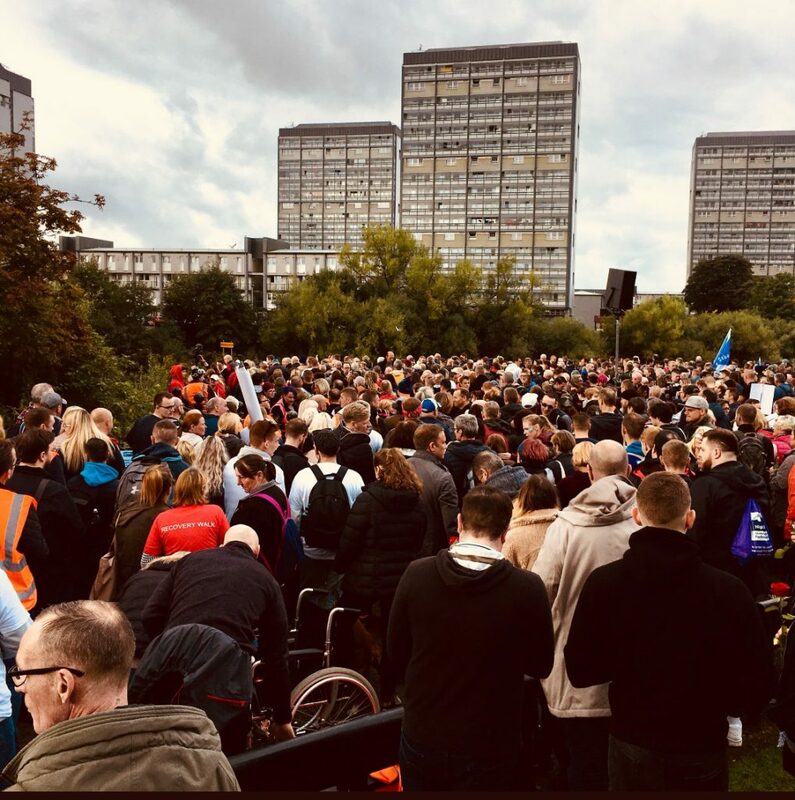 The mental health and addiction recovery communities made a huge impact in Glasgow on Saturday 15th September as part of Recovery Walk Scotland. 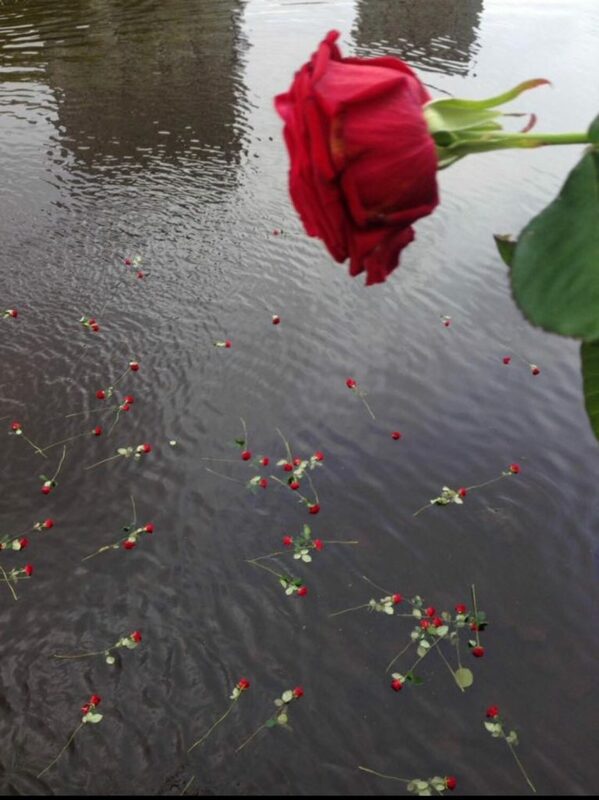 Over 3000 participants – including individuals in recovery, their friends, families and supporters – gathered in Glasgow Green on Saturday morning, beginning the day an emotional ‘Roses in the River’ ceremony, remembering loved ones who have lost their lives to mental illness or addiction. 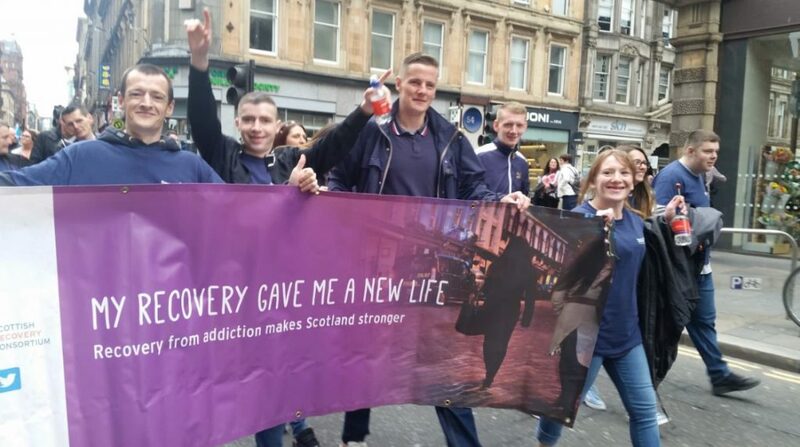 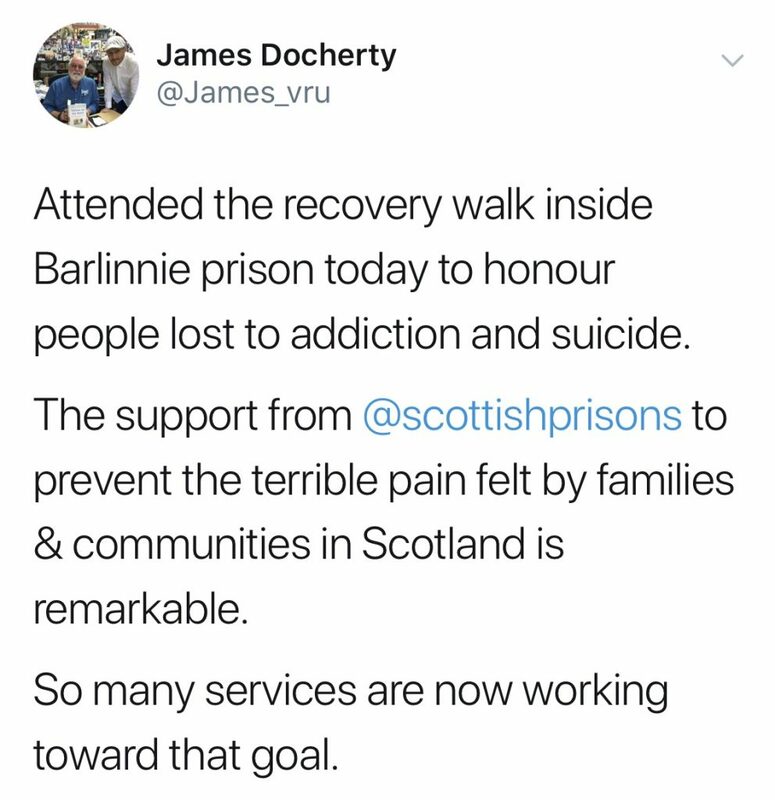 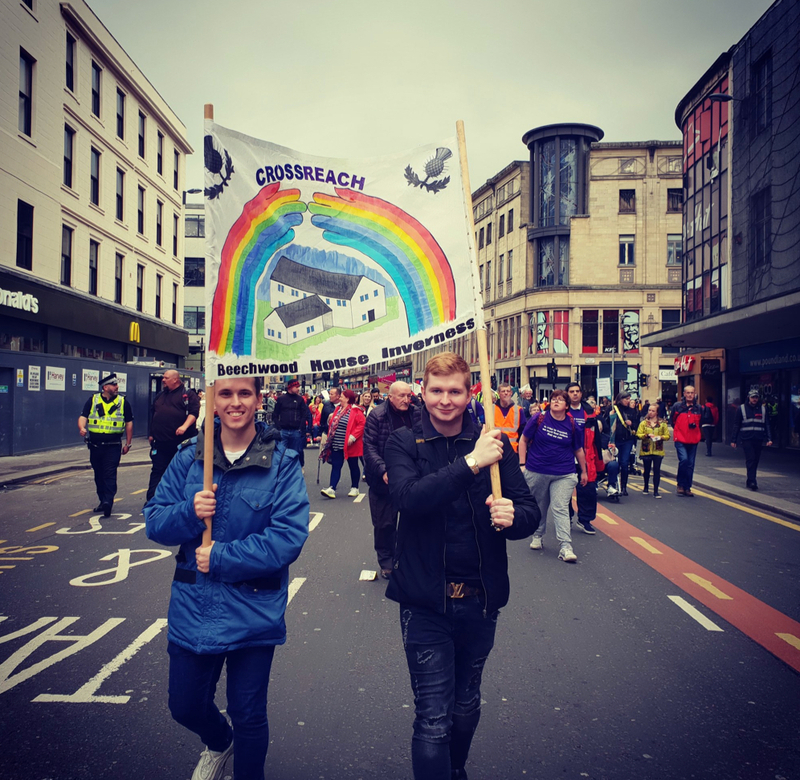 Amongst the colourful banners with powerful recovery messages were those carried on behalf of recovery groups from prisons across Scotland, many of whom took part in their own Recovery Walk events on Friday 14th September. 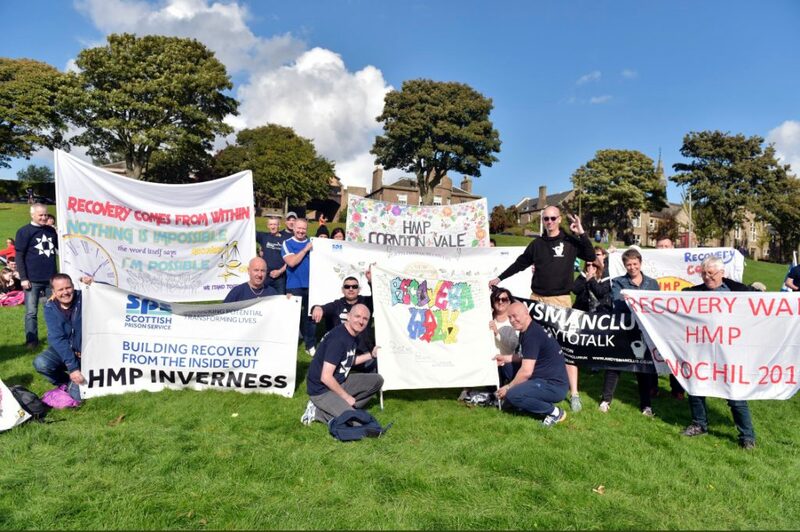 On return to Glasgow Green, participants enjoyed a chance to relax and continue to make connections with others from across the country at the Recovery Festival Village, where a buzz was already being created about Recovery Walk 2019 in Inverness! 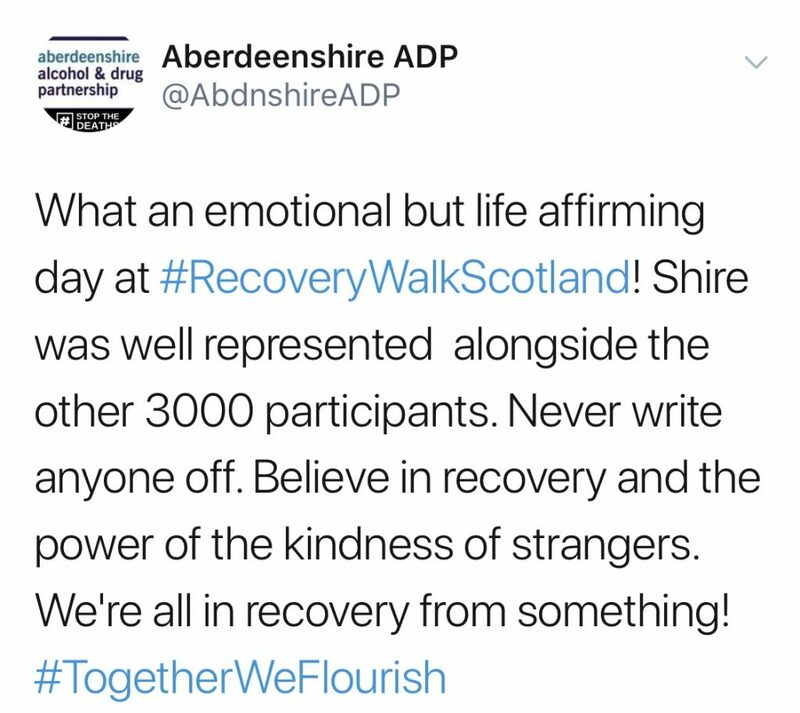 “In our darkest moments we often forget how strong we are” – some inspiring words about change, strength and personal growth.